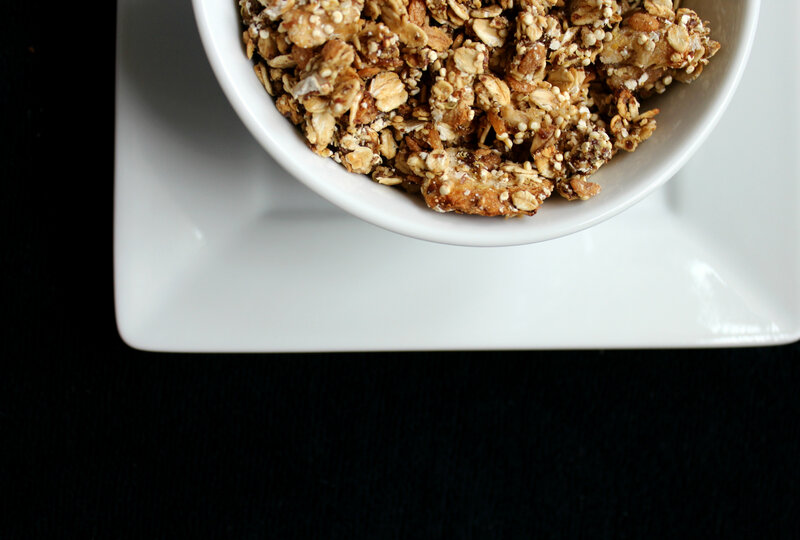 I love this month’s Recipe ReDux because I made a wonderful granola recipe that fit the theme! I feel like the themes keep getting fancier and fancier. Last month was unique and intriguing with tea and this month it’s spirits (a.k.a alcohol!) Well I don’t have any cooking wines or liqueurs in my house, but I do have the best Madagascar Bourbon Vanilla Extract. It has to be pure and it has Madagascar Bourbon vanilla beans. Never ever use that fake “imitation” vanilla extract. You can tell the difference when you use the real quality stuff compared to anything fake and full of artificial chemicals. July’s theme: A Spirited ReDux – From plain Jane vanilla extract to fancy-pants elderflower liqueur, we like to keep a little liquor in the kitchen. Show us how you like to cook, bake or mix-it-up with spirits, extracts and other alcohols. A splash of vodka makes summer sauces shine – and liqueurs brighten desserts: What’s your healthy recipe with spirit?